Click the Actions menu  and then click the Import button . 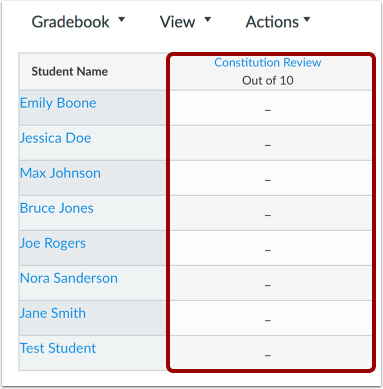 Previous Topic:How do I leave comments for students in the New Gradebook? 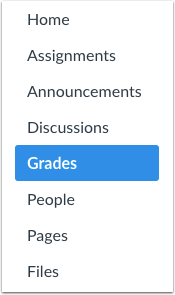 Next Topic:How do I publish final grades for a moderated assignment in the New Gradebook? 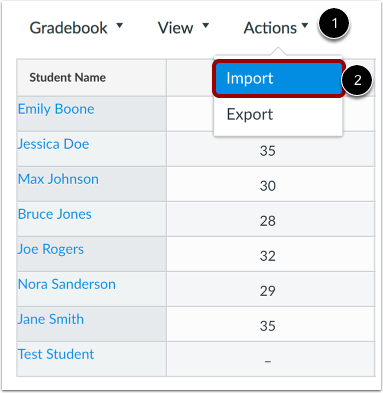 Table of Contents > New Gradebook > How do I import grades in the New Gradebook?